Part one of a two-part article by Dave Homewood (the webmaster for the popular cambridgeairforce.org.nz website) about the history of the Red Checkers – New Zealand’s longest-serving aerobatic display team. Fog has long been the bugbear of operators at Auckland International Airport. However, as David Clemow reports, its upgrade to Category IIIB standard should hopefully put an end to their worries. 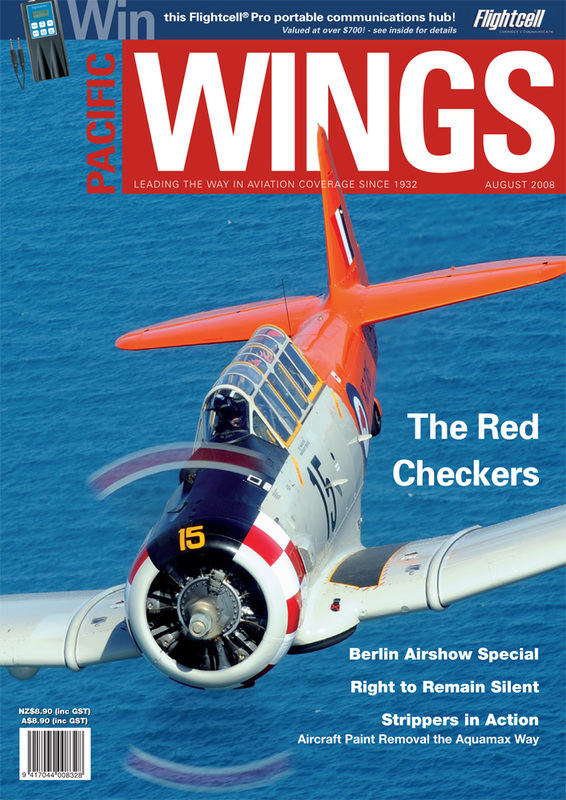 A report by Emil Dyulgerov and photographs by Chris Gee from one of Europe’s most significant aviation trade shows and air displays. A recent prosecution against a New Zealand pilot has highlighted some serious issues, which, as Leigh Neil explains, everyone in the aviation industry should be aware of. Mike Friend’s second article in a series about the future of electric propulsion for aircraft. Hugh Mitton provides a brief outline of the Boeing E-3 Sentry, which has already been in service for 31 years and looks set to soldier on for some time to come.